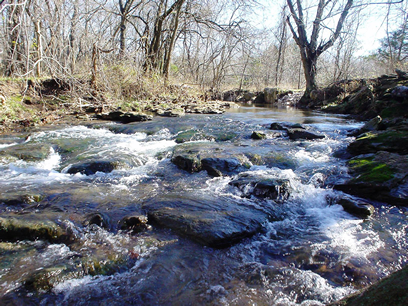 The Springfield Watershed Analysis included the geomorphic reconnaissance of five major watersheds, accounting for approximately 1/3 of the large open channels in the city of Springfield. 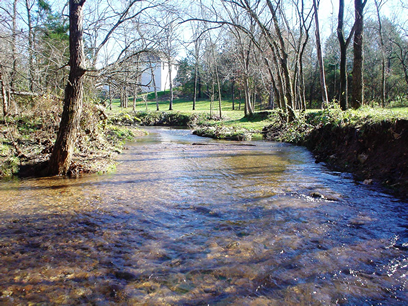 Intuition & Logic collected geomorphic field data to evaluate the physical stability of more than 70,000 feet of stream channel along the Ward, Galloway, South, Ravenwood and Thompson Branches. Data was collected using GIS layers compatible with the city’s existing GIS planning system for use in future watershed management operations. Based on the results of our analysis, 26 interventions were developed to address systemic and localized problems identified along each reach. 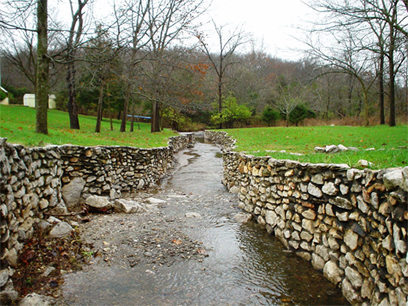 Interventions and watershed management strategies were designed to improve the health of the streams and to protect threatened property or infrastructure without excessive interventions. Cost estimates and priority ranking were assigned to each intervention, allowing the city to plan and budget for the implementation of each of the watershed improvements.